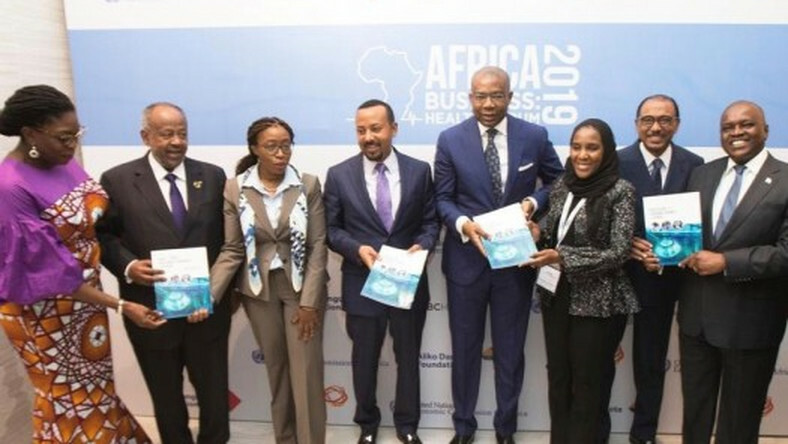 ADDIS ABABA, Ethiopia – Aliko Dangote Foundation and the UN Economic Commission for Africa jointly held the inaugural Africa Business: Health Forum on the margins of the 32nd African Union Summit. It brought together leaders from government and business with a strong appeal for greater collaboration between the private and the public sector on health outcomes. The Forum saw the launch of the African Business Coalition for Health, a private sector-led coalition of companies and philanthropists who will come together to positively transform health care for Africans growing population. Business and public sector leaders at the forum lauded this initiative as a timely game-changer to improve the health sector in Africa. ABCHealth is a coalition that will mobilize a core group of private sector champions through a coordinated platform to advance health outcomes and shape health systems across Africa. ECA also provides technical advisory services to African governments, intergovernmental organizations and institutions. In addition, it formulates and promotes development assistance programs and acts as the executing agency for relevant operational projects. Made up of 54 member States, and playing a dual role as a regional arm of the UN and as a key component of the African institutional landscape, ECA is well positioned to make unique contributions to address the continent’s developmental challenges. The ECA is headquartered in Addis Ababa, Ethiopia with offices in Rabat, Lusaka, Kigali, Niamey, Yaounde and Dakar. Aliko Dangote Foundation is the philanthropic foundation of Aliko Dangote, Group President, Dangote Group, established with a mission to enhance opportunities for social change through strategic investments that improve health and wellbeing, promote quality education, and broaden economic empowerment opportunities. The foundation was incorporated in 1994 as a charity in Lagos, Nigeria and has since become the largest private foundation in sub-Saharan Africa, with the largest endowment by a single African donor. The foundation has contributed over $250 million in charitable funds to several causes in Nigeria and Africa over the past four years.